A brilliant yet easy recipe and perfect for starter ! Try this Chilli Paneer Foodnawaab’s way and share with your loved ones ! Brilliant way to save time and money and amazing product as this recipe can be made under 15 mins. Take a non stick pan or skillet and put oil , once the oil is hot drop the garlic and saute, once the garlic is aromatic add the chillies and saute on low flame. 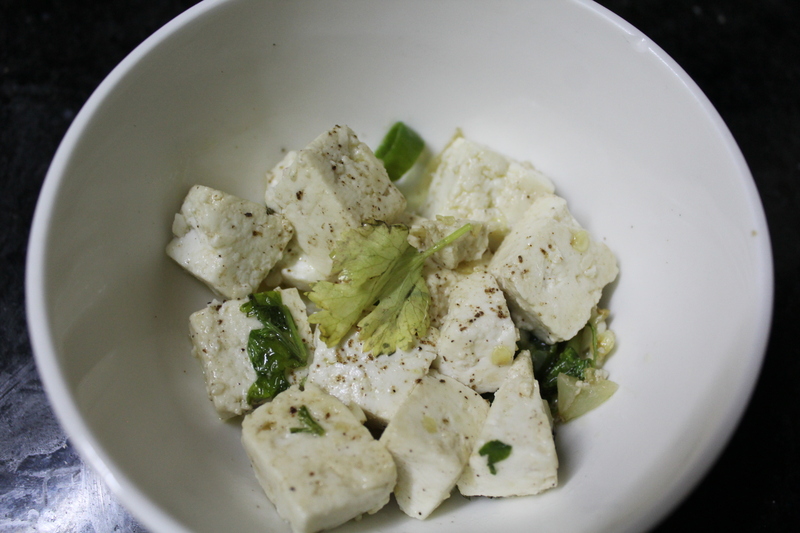 After a minute add the paneer cubes and mix well and cook for 3-4 mins. Keep Stirring in between. Now add the coriander , salt and pepper and cook for another 5-7 mins until you get a light colour on Paneer. Garnish with coriander fig and serve hot with mint chutney.